for a movie like Entertainment to exist in 2015 is far more difficult an achievement than it seems. This is not just a refreshing or exciting thing to appreciate. It’s inspiring. the true purpose of cinema is to challenge, not satiate, viewers. and even harder to stop thinking about. that the entire project felt like a dare. with the trappings of modern day ambivalence. is a walking embodiment of failed ambition. 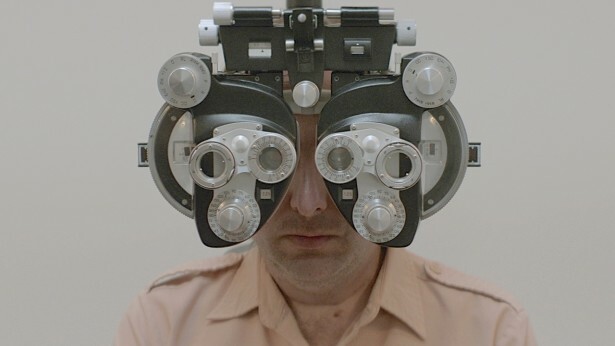 Before watching Rick Alverson’s Entertainment, if you had asked me to pinpoint America’s colon on a map, my finger would have headed straight for the Port Authority Bus Terminal in New York City. Now I’m not so sure. In his quest to find a location that would provide the bleakest backdrop for one man’s hallucinatory tailspin into an existential abyss, Alverson settled on Bakersfield, California. Note to self (and by self I mean each and every one of us): do not ever go to Bakersfield. If you’ve seen Alverson’s previous feature, The Comedy (aka, the winner of HTN’s Best Film of 2012), or if you are familiar with the work of Neil Hamburger (aka, Gregg Turkington’s confrontational, over-the-hill-and-under-the-influence lounge standup character), then you are one of the privileged souls, for you’ll at least have a bit of a handle on what you’re getting into with Entertainment. For the rest of you… frankly, I really don’t know what to say to the rest of you. Turkington stars here as The Comedian, a standup in the midst of a small venue tour in the California desert. His opening act Eddie (Tye Sheridan) is a good-natured young clown (literally) whose sole agenda appears to be eliciting a viscerally enthusiastic reaction from his audience without ever actually doing anything of note or distinction. When not performing, The Comedian is a withdrawn everyman who bides his time taking tours of desert landmarks and leaving voicemails for his daughter (his tour is concluding in LA at a famous person’s house party and he wishes she would be there). On stage, however, he’s something else entirely, a distorted version of a sloppy lounge comedian: tuxedo, three drinks in hand, greasy comb-over, and an assault of material that mixes non-jokes with one-liners that are as politically incorrect as the human language can get (for example: “What’s the worst thing about being gang raped by Crosby, Stills and Nash? (silence) Noooo Younggg.”). Needless to say, he’s an acquired taste. Of course, pretty much every single night at least one person in the sparse crowd takes the bait and lashes out at him, causing him to spew even more vitriol at this very person who paid money to see him (“syphilis breath” is one of his kinder-and-gentler turns of phrase). EntertainmentstillAs The Comedian makes his way through the barren wasteland in and around Bakersfield, he reunites with his cousin John (John C. Reilly) before encountering a steady array of off-kilter strangers (Michael Cera, Amy Seimetz, David Yow—all brief, all great). At the film’s midway point, he has an exchange with a loopy chromotherapist (Lotte Verbeek) that may be the cause of the ensuing hallucinatory chaos that follows. Or maybe he’s simply been on the road for too long and just needs to get the hell away from this scorching geographical colon? Working with cinematographer Lorenzo Hagerman (Heli), Alverson primarily composes his film in static widescreen tableaus that only exacerbate The Comedian’s rising condition of environmental entrapment (this is perhaps most beautifully expressed in the exterior shots of him wandering aimlessly through the wide open desert). Post-chromotherapist, gels are employed to further reflect his increasingly melting reality. Yet from the beginning, a menacing soundscape simmers around Alverson’s creatively selected source music, letting us know that just in case you were holding out hope, it’s highly unlikely that this story will end well. Nowadays, there’s lots of talk about how easy it is to make a movie for little to no money. And that’s true… to a point. And that’s great… in theory. But to make a motion picture with the type of names that will enable that movie to actually get seen, and to assemble a group of collaborators that can bring one’s vision to fully blossomed life? That takes real money (by ‘real money’ I’m talking mid-six figures at the very least). Which is to say that for a movie like Entertainment to exist in 2015 is far more difficult an achievement than it seems. This is not just a refreshing or exciting thing to appreciate. It’s inspiring. Love it or hate it—and you will most certainly do one or the other in a big, big way—it’s impossible to deny that Entertainment is the expression of a daring artist who is hellbent on rejecting conventions and norms and firmly believes that the true purpose of cinema is to challenge, not satiate, viewers. Rick Alverson’s surreal provocation “The Comedy” featured a bored, obnoxious Brooklyn hipster played by Tim Heidecker with such extreme discomfort that the entire project felt like a dare. That was kind of the point: Alverson forced viewers to get up close and personal with the trappings of modern day ambivalence. With his follow-up, “Entertainment,” Alverson takes the opposite approach: Rather than being corrupted by privilege, the glum comedian at the center of the new movie is a walking embodiment of failed ambition. 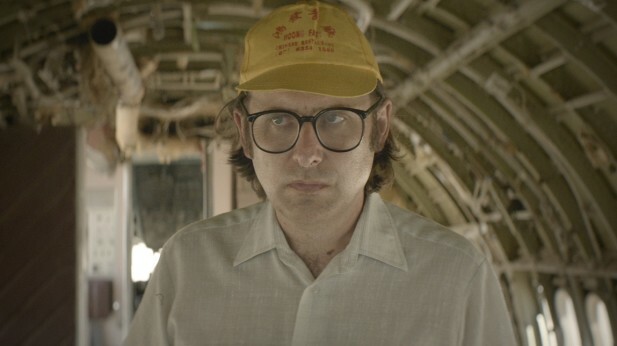 Co-written with Heidecker and Gregg Turkington, Alverson’s sketchy, irreverent drama follows Turkington as an embellished version of the real-life comedian’s onstage persona — the alternately awkward and grotesque Neil Hamburger. A portly figure with a horrific combover and squawking delivery, Hamburger leaves an unsettling impression as he clears his throat, peers out behind oversized glasses and performs a hilariously awful routine. Hamburger’s schtick typically involves a series of awful bad-taste questions (“What’s the difference between Courtney Love and the American flag?” “Why don’t rapists eat at TGI Fridays?”) followed by matter-of-fact punchlines more disturbing than funny—suggesting that they aren’t really jokes at all, but some twisted attempt at living out a narcissistic fantasy onstage. But, hey, that’s entertainment, right? 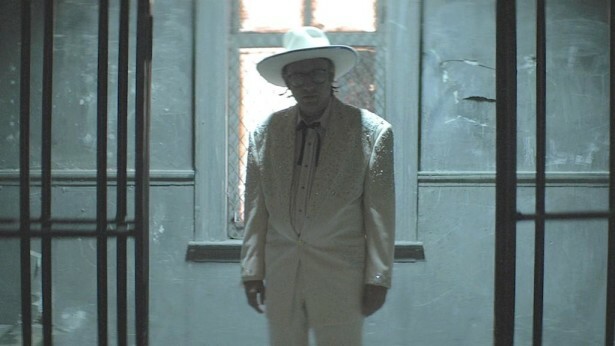 Alverson sees that possibility through to its logical conclusion, by portraying Hamburger as a lonely, middle-aged figure wandering through drab routines in the middle of the Las Vegas desert. Like Heidecker in “The Comedy,” he’s a paradoxical man at once hilarious and profoundly sad. When not attempting to reconnect with his estranged daughter through unanswered phone calls, Hamburger performs his routine to alternately bemused, annoyed and disinterested crowds, occasionally confronting hecklers (as Turkington has famously done countless times) with cringe-worthy results. Alverson’s story unfolds largely through ironic juxtapositions: At the microphone, Hamburger is an angry, combustible presence; elsewhere, he’s a soft-spoken, withered shell of a man. It’s unclear which mode comes closest to epitomizing his true identity, because Hamburger himself is adrift in the dueling states. Alverson emphasizes his anti-hero’s plight by capturing him in the midst of expansive desert imagery (shot by cinematographer Lorenzo Hagerman, whose previous credits include the far bleaker but visually related Mexican crime drama “Heli”) and shadowy interiors. With time, these spaces blur together into a glum cycle. At times, the vignette-like narrative struggles from a redundant quality, but that same factor enhances the frustrations at the center of Hamburger’s life. In an early scene, we see him performing for a group of prisoners after his opening act, a plucky clown (Tye Sheridan). The pair and their setting wouldn’t look out of place in a Fellini movie, though Alverson’s narrative has a darker edge. The incarcerated audience is oddly more supportive of Hamburger than others, maybe because they can relate to his isolated state. Hamburger’s insecurities regularly lead him into threatening encounters. Amy Seimetz surfaces as an angry woman who lashes out when he crudely mocks her during an under-attended barroom gig; Michael Cera surfaces for a bit part in a creepy bathroom showdown that suggests Hamburger has lost touch with reality. A more nightmarish encounter in the same stall later on takes a page from “Eraserhead” in its implication that Hamburger can no longer dodge the nightmares that define his daily existence. It’s here that “Entertainment” flies off the rails, heaping weirdness into material that more or less works on the basis of its fascinating lead. But he’s a terrific focal point for the grim storyline. Only John C. Reilly, as Hamburger’s supportive cousin, offers a modicum of support for the downbeat character—but to no productive end. The comedian seemingly thrives on bad vibes. 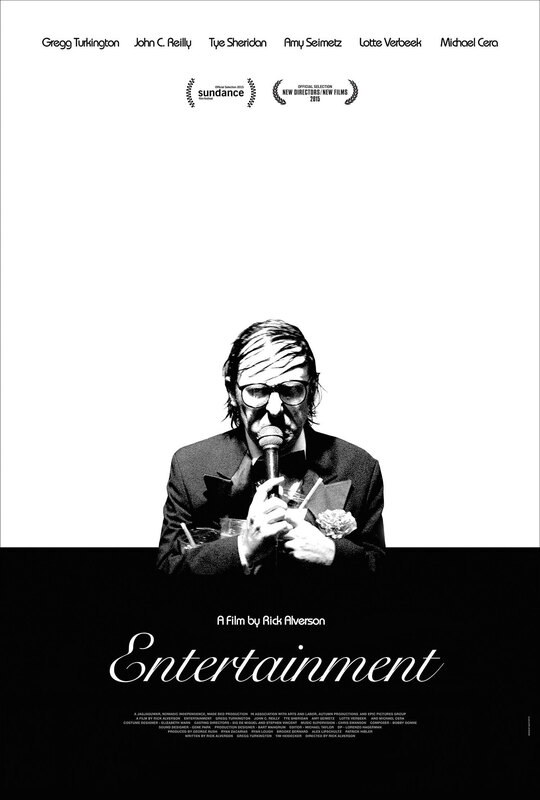 While “Entertainment” lacks the focused critique of “The Comedy,” it nevertheless offers a fascinating look at the tension between personal aspirations and the harsh realities holding them back. Turkington’s performance, both terrifying and absurd, gets to the essence of a fascinating concept that defies the limitations of his bawdy routine. Eventually devolving into a mess of sobs and maniacal laughter, his meltdown arrives with the eerie suggestion that the two exclamations aren’t that far apart. He’s hopelessly depressed and self-loathing, but for the same reasons, alive with feeling. “Entertainment” premiered this weekend at the Sundance Film Festival. It is currently seeking U.S. distribution. A broken, aging comedian tours the California desert, lost in a cycle of third-rate venues, novelty tourist attractions, and vain attempts to reach his estranged daughter. By day, he slogs through the barren landscape, inadvertently alienating every acquaintance. At night, he seeks solace in the animation of his onstage persona. Fueled by the promise of a lucrative Hollywood engagement, he trudges through a series of increasingly surreal and volatile encounters. 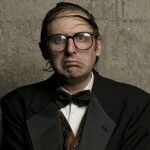 GREGG TURKINGTON – An Australian-born U.S. comedian, best known for his stand-up comedy character, Neil Hamburger. He has also participated in a number of avant-garde and Punk Rock bands. Turkington is also the founder of Amarillo Records. 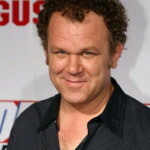 JOHN C. REILLY – To date, he has appeared in more than 50 films, including three separate films in 2002 that were all nominated for the Academy Award for Best Picture. He has been nominated for an Academy Award for Best Supporting Actor for his role in Chicago and a Grammy Award for the song “Walk Hard”, which he performed inWalk Hard: The Dewey Cox Story. 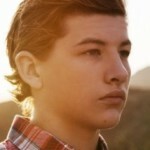 TYE SHERIDAN – Actor known for his roles in Mud, Joe and The Tree of Life. RICK ALVERSON – (Producer/Director/Writer) This filmmaker’s first dramatic feature The Comedy (2012), a tale of the perils of entitlement set in Williamsburg, Brooklyn, premiered in competition at the 2012 Sundance Film Festival and is distributed by Tribeca Film. His first feature, The Builder (2010), was an existential character study of an Irish immigrant at odds with the promise of America. New Jerusalem (2011), his second feature, starring Colm O’leary (The Builder) and Will Oldham (Matewan, Old Joy), again considered the immigrant experience but this time through the lens of religious ideology. New Jerusalem premiered at the 40th International Film Festival Rotterdam and SXSW in 2011. That same year he was awarded a Visual Arts Fellowship from the Virginia Museum of Fine Arts. 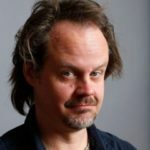 LARRY FESSENDEN – (Executive Producer) Larry Fessenden is an actor and producer and the director of the art-horror movies DEPRAVED, NO TELLING, HABIT, WENDIGO and THE LAST WINTER, as well as he TV films SKIN AND BONES and BENEATH. He has produced dozens of movies including THE HOUSE OF THE DEVIL, STAKE LAND, WENDY AND LUCY and THE COMEDY and acted in TV and Film including LOUIE, THE STRAIN, BROKEN FLOWERS and THE BRAVE ONE. Fessenden has operated the production shingle Glass Eye Pix since 1985 with the mission of supporting individual voices in the arts.